ADP is implementing two-factor security verification this weekend between Sept. 28 at 11:59 p.m. – Sept. 29, at 5 a.m. In the future, while logged into your ADP account, you may be asked to further confirm your identity. In an effort to create more convenience for employees, Webster will introduce the ALINE Pay Electronic Services by ADP on Sept. 1. This will be a new payment option for all student, staff and faculty employees. By moving toward a paperless payroll system through the introduction of The ALINE card, the University will also realize annual cost and time savings. See this story and the updated Payroll Office and Pay Distribution policy for details. Beginning Sept. 1, Webster is introducing myadp.com -- a new way of using MyWebster's ADP Portal with the new ADP Experience. 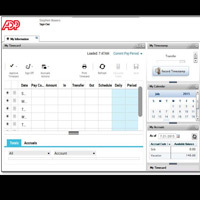 The ADP Experience is an engaging and streamlined approach to using the MyWebster Employee Self Service Portal. Despite this udate, the current portal (portal.adp.com) isn't going away. MyWebster, Webster University's ADP-based employee time and attendance system, will be upgraded beginning 9 p.m. (CT) Monday, Oct. 10 through 3 p.m. (CT) Tuesday, Oct. 11. During this time, eTime will not be available for timestamp, time off requests or approvals. Employees' electronic W-2 forms are now available through the secure "My Webster" ADP portal. Those who did not opt out of receiving paper W-2s will receive theirs via postal mail to their address of record this week. In addition, employees will be receiving form 1095-C via postal mail. The end of the calendar year is an ideal time to review the accuracy of your payroll information, amend tax withholdings, and opt out of paper by receiving electronic W2s. Gerald Crutchfield is the new director of Payroll, Alexis Boyer-Meyerman has been appointed data specialist in Academic Affairs, Kimberly Mantia-Ochoa has been appointed coordinator in Study Abroad, and Erin Cornell has been named strategic initiatives coordinator for the College of Arts and Sciences. 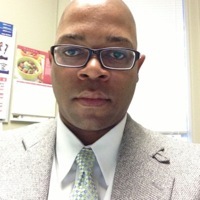 Treasury Services announced that Gerald Crutchfield has joined the payroll staff as director of Payroll effective Aug. 31. He comes to Webster from Enterprise Holdings in Clayton, where he served as payroll supervisor.